Richard Bernard “Red” Skelton, the comedy genius known for his rubber face and Golden heart was born on July 18, 1913 in Vincennes, Indiana. Red’s father Joe had died two months before Red’s birth leaving his mother, Ida Mae, with the responsibility of raising Red and his three brothers alone. Red’s early years were marred by poverty and a penchant for being bullied by his siblings. Red Skelton Despite these hardships, Red was known as a compassionate and fun-loving jester who delighted in bringing joy to others. Red helped sustain his family by performing odd jobs and selling newspapers. One evening in 1923, when Red was selling newspapers outside of the Pantheon Theater, he reportedly met the comedian Ed Wynn who invited him backstage to meet the other performers and to view the audience from the stage perspective. Captivated by the experience, Red made it his life’s goal to perform and bring laughter to people. At the age of 15, Red left home to perform in medicine shows, vaudeville, burlesque, and minstrels. His mother always claimed that Red’s “destiny caught up with him at an early age.” In 1937 Red made his debut on radio and on Broadway and quickly became an up-and-coming comedian. 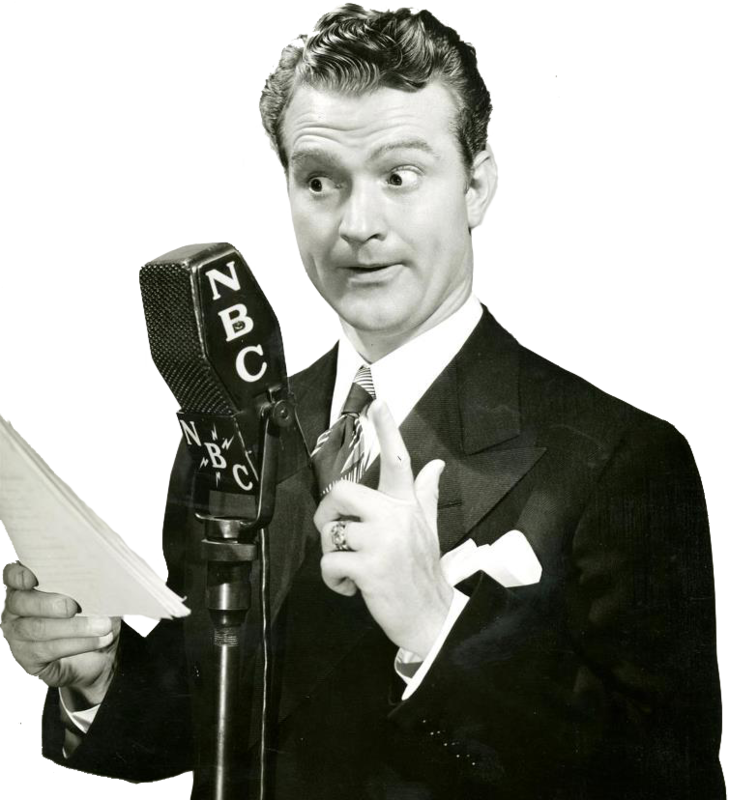 “The Red Skelton Show” became a radio staple in the 1940s and the funny redhead furthered his career by appearing in movies for MGM. In 1951, Red took his show from the radio airways to television, a move that brought him into millions of living rooms across the nation. The TV show lasted from 1951 to 1971 and earned Red three Emmy Awards. Never one to waste a creative moment, Red was also a prolific artist, writer and musical composer. Red continued performing on stage at hundreds of colleges, casinos, and theaters even into his later years. The Academy of Television Arts and Sciences awarded him the Governor’s Award for lifetime achievement in 1986. Despite his fame and success, he never forgot about his humble beginnings in Vincennes and often spoke fondly of his hometown during subsequent visits. Red succumbed to pneumonia on September 17, 1997 leaving a cherished legacy of laughter for the world. The “Legacy of Laughter Newsletter is published annually. If you wish to be added to our newsletter mailing list, please email Anne Pratt at apratt@vinu.edu. Below is an archive of all past newsletters.